High arched feet, or pes cavus, is the condition where the feet have very high arches. Having feet with high arches may cause you to foot pain if these are not equipped with the proper footwear, especially when you are running. If you have high-arched feet, you may be wondering if the shoes you usually buy are compatible with your condition. 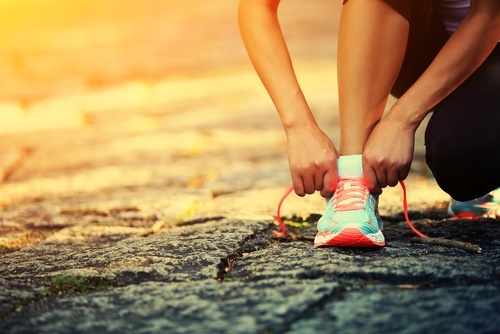 If you are experiencing pain, especially when you are going for a marathon, you should look for a new pair of shoes. Now that you know the essential things about shoes for high arches, you are probably wondering if there are any mainstream brands that even carry such features. Because most of the time what they provide is the run-of-the-mill support and cushioning, which may not be the one you are looking for when you have such a condition. If there are any, you might also be wondering if they cost more than ordinary shoes due to their special features. Here are the best shoes for high arches, in terms of features and cost. 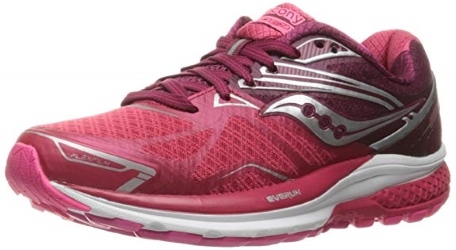 This pair of shoes is built for people who have moderate to severe overpronation and requires both stability and cushioning in order to help them run normally. The redesigned upper area is made up of breathable mesh and lightweight synthetic materials which makes them both comfortable and breathable as it hugs the feet snugly and keeps the feet cool and dry. The full-length Brooks DNA midsole adapts to your movement and allows you to mold the cushion to your needs so that you will have a more stable and balanced stride. 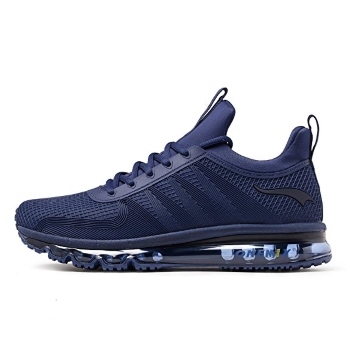 This pair of shoes has an upgraded seamless upper construction which allows the user to feel maximum comfort and stability without sacrificing durability. The Discreet Heel Unit and Propulsion Trusstic Technology ensures that the shoe will have a seamless fit with the foot. 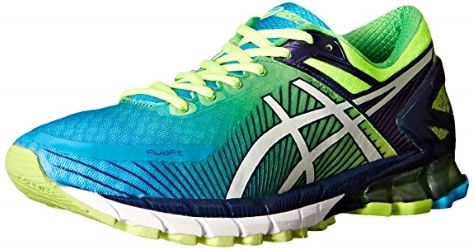 This pair of shoes also provides ample and comfortable cushioning because of the materials that were used in this product such as FluidRide Technology and GEL-Kinsei 6. This combination of materials makes an excellent shoe with good support. This pair of shoes is made of synthetic materials which make the product durable and lightweight. It has a rubber outsole which allows it to be usable in a variety of terrains. 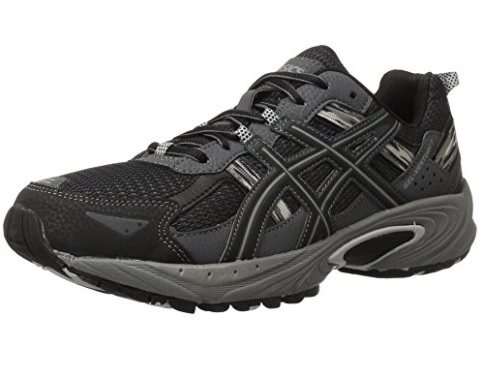 This is an outdoor-ready runner shoe with mesh materials which makes the material comfortable to wear. It also makes the shoe breathable as the mesh enables the feet to stay cool and dry. Furthermore, the product has a removable sockliner that accommodates medical orthotics to be inserted into the shoe without any interference. 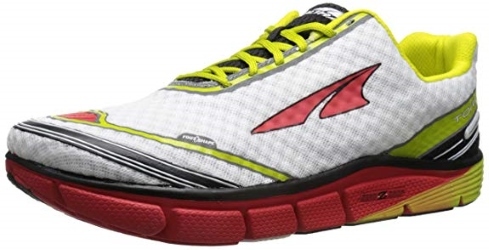 There is also a Rearfoot GEL cushioning that is moldable to the shape of the foot. This pair of shoes is made from textile and synthetic materials. 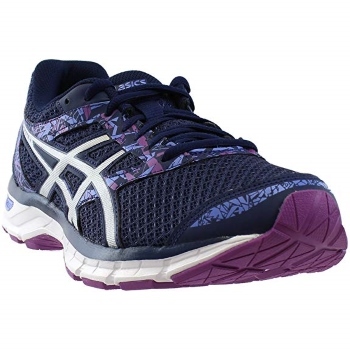 This is a mono-mesh running shoe which is sleek because of the simple no-sew overlays that make the shoe’s design, which allows the shoe to be durable while looking seamless and sleek. 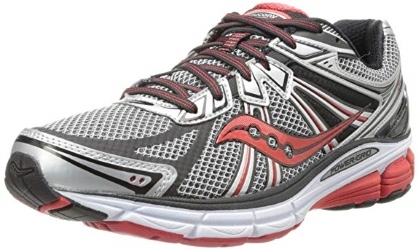 It has a dual-layer Altrabound cushioning, which allows the feet to be supported while being comfortable. The anatomical toe box allows the foot to be positioned naturally, which enables foot support and enables the foot to become more stable. This product has a breathable upper mesh material that has a reduced stitching on the forefoot, which allows the user to feel more comfortable as it allows the feet to stay cool and dry all while providing a better space for the forefoot. The stitching also lessens the irritation of the foot. The Support Frame Technology allows the foot to be supported at the arches, which allows for stability when walking. The Hydramax Collar Lining allows the feet to feel a next-to-skin comfort and allows the feet to stay dry as it wicks moisture away. This product has a rubber sole with a platform that measures about 3 inches. It is breathable as it has a textile lining and has an EVA footbed. This product comes in 9 sizes and four colors to choose from. The Flywire cables integrate with the laces and wrap around the arch for a more supported fit. The midsole flex grooves provide greater forefoot flexibility. The waffle outsole allows for great durability and multi-surface traction. This product has a rubber sole and is made up of mesh material. The shaft measures approximately 2.5 inches from the arch. 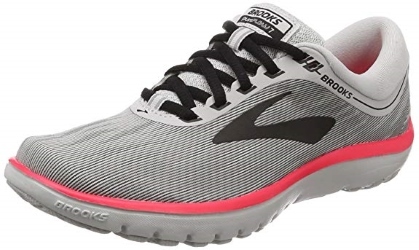 This is a lace-up running shoe has a breathable mesh that enables the user to feel comfortable as it gets rid of odor and moisture. It features FLEXIFILM no-sew overlays for lightweight support. It has a padded collar and tongue that allows more support. This shoe is available in a wide array of sizes and colors that the person can choose from. This pair of shoes are made from a mix of synthetic and textile materials and has a sole made of rubber. The shaft measures as low top from the arch. The rearfoot GEL cushioning system not only stabilizes the foot of the user but also absorbs shock in order to prevent pain and provide comfort while allowing the foot to transition in a midstance. It has a removable sockliner that can be removed to accommodate medical orthotics. This product has ample foot support which is ideal for runners with a medium to high arch, allowing your stride to be more stable and secure. It is lightweight and flexible, which allows you to run freely without having to think that there are bulky shoes that are causing you to drag your feet. The BioMoGo DNA midsole cushioning adapts to your stride, while the flexible sole distributes the impact of your feet evenly so that there would be less pain to your steps. The rounded heel promotes better alignment, which lessens the stress on your joints. This product is made of synthetic materials with a rubber sole. It is available in ten colors and and nine sizes that you can choose from. The shoes are lightweight and flexible, which allows you to be comfortable with the fit of the shoe as it conforms to your stride. The shoe material is also breathable, which enables your feet to stay cool and dry which adds to its comfort. It has an anti-slip sole that absorbs impact and keep your ankles become comfortable while providing support. High arched feet are where the weight is excessively on the ball and the heel of the foot whenever a person is walking, running, or standing. This condition causes the foot to become relatively stiff. Pes cavus can come in two forms. It can go either as idiopathic, where the state arises spontaneously, or congenital, where the person is born with it. Causes – Pes cavus can occur from neurological disorders or other kinds of conditions, such as cerebral palsy, spina bifida, polio, muscular dystrophy or stroke. Sometimes, it can arise due to hereditary predispositions. Symptoms – The primary symptom of pes cavus is that the foot will appear high even when the person is standing. If you suspect that you have this condition, take a look at the following symptoms. Hammertoes/Clawed Toes – This is where the toes of the feet appear to look bent or normally clenched like a fist. Heel and Ball Calluses– Given that the weight of the body is concentrated on some parts of the feet, the most common areas of the foot where calluses would appear would be the heel, ball, and sides of the feet. Pain When Standing/Walking – The unevenness of the feet when walking can cause pain in the toes as well as the calves. Unstable Footing – Because the feet are curved abnormally, balancing oneself when walking or standing can also become a problem. This is because the heel of the feet is tilting inwards, and therefore walking may cause ankle sprains due to the foot curving inwards. Diagnosis – Only a podiatrist can help accurately diagnose if you have pes cavus or not. A podiatrist will look into your family history and check for symptoms. Muscle coordination will also be checked. X-ray examinations may be conducted depending on if the results are neurological in nature to complete a neurological evaluation. Wet Footprint Test – This is a form of diagnosis that you can do at home if you are suspecting that you have pes cavus. This involves wetting your feet and standing on a paper bag. If you have pes cavus, the sides of the footprints will greatly reduce compared to normal footprints, which have a slight arch. Treatment – Depending on the severity of the condition, nonsurgical or surgical treatment may be necessary. The following methods are what will be necessary for you to cope with the condition upon the advice of the doctor. Non-surgical Methods – These are methods that do not require invasive surgery to the feet to correct pes cavus. Sometimes they are for patients who do not have a severe condition, or they serve as preventive measures in order to ensure that the condition does not worsen before surgery is conducted. Orthotic Devices – Custom orthotic devices that fit into the patient’s shoe will help to correct the condition. These devices provide stability and cushioning to the feet of the patient. Shoe Modifications – Depending on the decision of the patient on whether to modify their current shoes or not, they may opt for such methods if they are cheaper than having to buy new shoes. Such modifications include making the shoes high-too so that they support the ankle and heels. 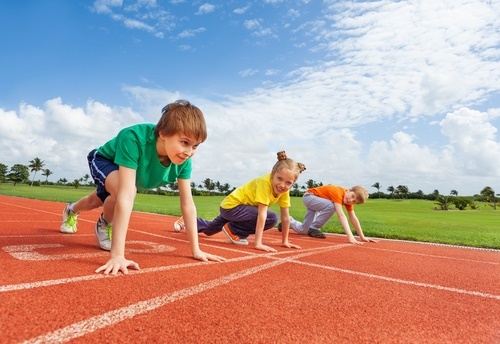 Bracing – Braces may be recommended by the surgeon in order to keep your feet and ankles stable, therefore reducing the chance of having ankle sprains and muscular pain. Braces are also beneficial as they reduce foot drop. Physical Therapy – This requires stretching of the muscles and strengthening of weak muscles in order to help alleviate the pain from pes cavus. Surgical Methods – This method requires the patient to undergo invasive treatment. We recommend this method only if the above methods do not work on the patient. Choosing the right shoes for your condition will be something you will thank yourself for once you find yourself wearing such shoes because having such kind will serve as a long-term solution to your condition, at least until your shoes are in need of replacement. Not all shoes are for such a condition, and as such, you may think that there are no sure ways to know how to find one. Here are the factors that you should look for in a pair of shoes to know how to choose the best shoes for high arches. Arch Support – Having support for your arches primarily helps in preventing pain when walking or running. This is because the stress and pressure reduce due to the support on the arch of the foot. This is where the pain emanates from if there is no cushioning to prevent the impact of the ground from the foot. Proper Cushioning – Cushioning for feet with high arches should be soft and thick enough to heavily support feet with inward pronation. Also, cushioning that runs along the outside of the shoes are good for feet with high arches because it helps in preventing outward rolls of the foot due to underpronation. This helps in battling the loss of balance when the foot hits the ground. Shoe Shape – A shoe that has a curved last will help in supporting the high-arched foot as it allows your foot to pronate slightly while you are walking. This allows for good support. The curvature also helps in cushioning the foot from the impact as the shape hugs the feet using the cushion. A shoe with a slip last is also something that you should look for if you have pes cavus. 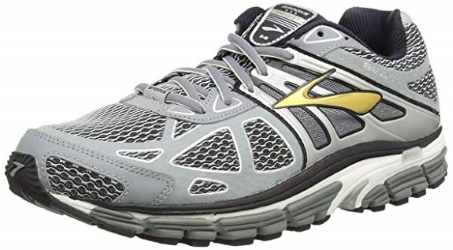 This is because this type of shoe has additional cushioning and is more flexible than other types of shoes. Breathable – A shoe that is either of lightweight materials or has a design that provides good airflow helps in the ventilation of your feet. This will keep it cool and dry. Not only will this make you more comfortable when walking or running, but it will also prevent the growth of odor-causing bacteria. Comfortable – A shoe should always have the right fit all while being snug in the right places. You do not want a shoe that is too loose that it will fail to support your high arches or that it is too tight for comfort. Choosing a shoe with the right comfort level allows walking like you do not have any shoes to worry about. Stable – Shoes that provide stability to your feet are essential for your high arches because this will prevent your feet from having ankle sprains while you are walking or running. Having feet support for individuals who suffer from high arches and have overpronation, as it also helps in keeping one’s balance while walking. Flexible – Lightweight and flexible shoes help in counteracting the feet’s rigidness, which enables you to move your feet freely in order to help yourself balance your feet’s movements while you run or walk. Having flexible shoes also helps in distributing the impact of the feet while you move. You may think that there are only about two benefits to wearing shoes with high arch supports. That is because most of the time these benefits are the only ones doctors and shoemakers highlight. Distributes Pressure – Distribution of pressure is essential to all footwear. This is most essential to feet with high arches, which is why shoes with high arch support distribute pressure better than ordinary shoes. This helps in dealing with aligning the body and lessening pain. Provides Stability and Balance – Shoes with high arch support enable you to walk or better. This is because it helps you with your pronation. By doing so, it lessens the chance of developing ankle sprains. Also, it could even help you with your posture because it helps you walk the right way. Provides Proper Support – Those who require special shoes due to their feet pain will have less if they wear shoes with proper support. This is because the way the feet impacts the ground changes. This helps in alleviating existing pain when you are walking or running. Alleviates Pain – Given the previous benefits above, the effect of having shoes with high arch supports will be the lessening of pain while running or walking. Sometimes, depending on the amount of support the shoes can give, it can allow the joints to repair itself by preventing further damage which lessens pain. Prevents Further Harm – Not only do shoes with high arches lessen pain and improve posture, but it also prevents the foot from ankle sprains which could eventually lead to fractures, if paired with poor foot support and shock absorption, and instances of collapsing and developing plantar fasciitis. 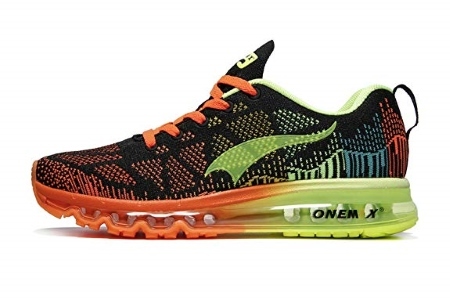 In conclusion, some running shoes offer better features than others. There are also some drawbacks to the designs. Despite this, the list above refers to some of the best shoes for high arches.